I had the pleasure of speaking at two events last week and they both required a bit of research as part of my preparation. I found some great articles and recent surveys that I thought may be beneficial for others so what a better way to share than to write a quick post! 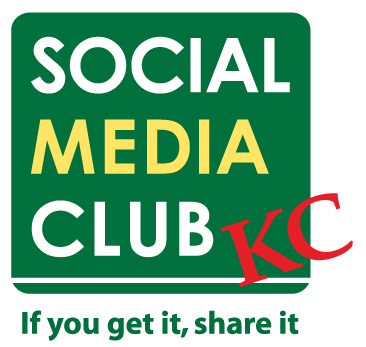 My first event was facilitating a very smart group of people from Social Media Club of Kansas City discussing social media analytics. The audience gathered at the Enterprise Center of Johnson County and included educators, business professionals and social media enthusiasts. This discussion circled around the significance of social media metrics, measurement and how businesses can engage through social media. If you are interested in learning more about social media analytics, metrics and measurement I would encourage you to take advantage of a pretty cool offer the panelists made at the end of the session. For only a $25 donation to March of Dimes you can have access to a total of three white papers published by Spiral 16, Nicholson Kovac and Why Status Quo. Pretty cool to think that you can help babies while helping your professional development! The panel included Aaron Weber (Spiral16 Data Analytics Manager) Vince Vaughan (The Vaughan Practice), Chris Kovac (NicholsonKovac), and Katy McKinney (K2 Media). The experts had their own point of views and stories related to how analytics can be used and what it can mean for a business and an individual. Kovac gave the story about how wording and phrases make a difference when trying to capture analytics. After working with Weber and the Spiral16 crew on a project, they learned how their client referred to their product was different than how the customer used it. They then had a “light bulb” moment of having to change the wording in order to better promote, advertise and analyze how the product was being talked about on the web. Vaughn gave an example of the importance of listening to customers online and then reacting to what they want. The pool at the Venetian had its own social networking channels and many people complained about the lack of shade in the area. After listening and talking to their customers, the Venetian put in shade, knowing that’s what their customers wanted and needed. For a business, it’s important to listen and ask what the customer wants, what they like, and what they don’t. The Venetian example reflected a great way to engage, converse, and adapt to the needs of their audience. Knowing how and where to get analytic tools is important, as to knowing what to measure and what to leave out. Katy McKinney said that a lot of the work will be “manual”, but there are resources out there to help measure your businesses success online, an example of a resource is oneforty.com. “There has never been a better time for small businesses to compete with Fortune 500 companies” said Vaughn. This statement is bold and is true, and with the resources that we have coming for social media analytics we can now track the progress of these small businesses online. The panel’s discussion brought to attention that social media analytics is an up-and-coming field that is going to help build success for businesses online and is an essential tool for monitoring how a business is making their mark in the space online. For a great review and quotes from the panel, visit Spiral16Blog written by Eric Melin for his insights about yesterday’s event. The second event was speaking to an inquisitive group of marketers from the Engineering, Real Estate and Architectural industries at the Missouri Valley Regional Society for Marketing Professionals conference. I wanted to make sure and have solid case studies to share and found these articles that provided both numbers and a story. I found 3 good ones, Dell ($6.5M in sales), Ford (2010 biggest profit year since 1999) and GE ($250K cost savings with just one interaction). Dell and Ford are fairly well-known but General Electric was a new one for me and very interesting as it shows the dollars a company can save by introducing social communications internally to facilitate employee knowledge sharing. All three articles provide solid statistics and explanation regarding each company’s approach. I also pulled some great stats from two recent surveys, McKinsey Quarterly and Inc. The Inc. survey reported 90% of marketers say that social media is important for their business and that the number 1 payoff is generating more business exposure. 43% of those surveyed said they saw an increase in sales. McKinsey Quarterly garnered responses from 3,249 executives across a range of regions, industries, and functional areas. Two-thirds of the respondents reported using Web 2.0 in their organizations…see the chart above for the results. In addition to providing information on how companies are using social media today both surveys indicated a growing trend in video. In fact, Inc. reported that 77% of marketers plan to increase their use of YouTube and video marketing efforts this year. With higher speed internet access becoming more and more available to the population and their diverse type of devices, I wonder what other trends may be around the corner…would love to hear what you think! Lisa – Great article; thanks for the link! BTW, that GE case study is new for me as well. Very cool. I like how its got quite a different takeaway from what we usually see. Thanks for the info–I’ll be digging deeper into that for sure! Thank you Eric. The GE study is an area where I think there is much opportunity for new adoption…as companies continue to move through the learning curve with external engagement I speculate the next logical step will be to bring social communications in house. As an old corporate junkie, I know first hand how important and yet, how difficult knowledge sharing is in a big and geographically diverse organization. Think about the cost reduction possibilities! I attended the Social Media Analytics panel at the ECJC and it was so great to hear all the professionals give their take on how analytics can benefit companies and organizations. Thank you!